Miami’s Brickell has a new playground for travelers and upscale living. Miami-based Related Group and sbe Hotel Group will host the grand opening of their joint $400 million project SLS Brickell Hotel & Residences today (Nov. 17) in Miami. And the companies have much to celebrate.The 55-story tower at 1300 S. Miami Ave. has 453 residential condos, 124 hotel rooms, two restaurants and a host of upscale amenities. The development marks the first of seven Florida projects between the companies, which have additional properties planned in Argentina, Brazil and Mexico. Click here for more on the project from Senior Reporter Brian Bandell, and for an inside look of the property. 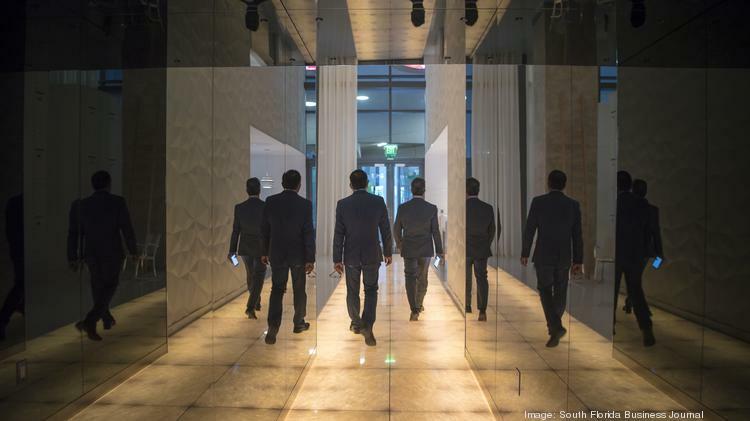 Spanish-language broadcast giant Univision Communications will cut the jobs of between 200 to 250 people, with many of the layoffs expected at Fusion in Doral, according to media reports. As part of the restructuring other office and editorial employees will likely be laid off. Click here to read what Isaac Lee, Univision’s digital, entertainment and news chief, had to say about the layoffs to The Washington Post. Miami health care-tech startup CareCloud has raised $31.5 million in a Series C funding round, boosting its investment capital booty to $102 million to date. New York City-based Blue Cloud Ventures led the round, which included funding from PNC Financial Services Group and First Data Corp. Subscribers can click here to read more about CareCloud from reporter Debora Lima, including how the company intends to use the capital infusion. Whether you work in downtown Miami or plan to make the rounds of the Brickell area, at some point you’ll want to hit one of the neighborhood’s popular eateries. And we’ve just made it easier for you by compiling the Top 20 restaurants in Brickell based on Yelp reviews. The eateries range from burger joints to sushi, and from Italian fodder to sandwiches. Click here to see diners’ top picks. The Business Journal held the 2016 Giving Guide reception Wednesday night to honor companies that support and enrich South Florida causes. Click here for an inside look at the event. Keep in the know: Follow us on Twitter @SFBJNews. And follow me, too: @SFBJEditor or at facebook.com/SFlaBizMelendez. Don’t miss a thing: Want to know more? Click here to read past 5 Things to Know columns.